This release is meant to be a proof-of-concept for feedback on the idea. 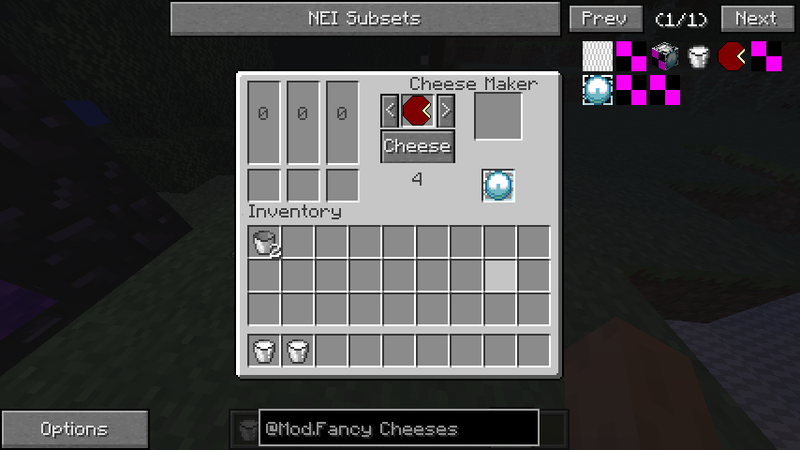 Adds cheeses to Minecraft. Sheep milk is obtainable by right-clicking a sheep with a bucket. Milk can be put into the cheese-maker (Left slot vow milk, middle slot sheep milk) and then turned into cheese depending on the given milk. Cheese then can be cut with a cheese knife into cheese slices to be consumed. Currently, 10 cow milk makes Gouda cheese. I would like any feed-back on this idea. 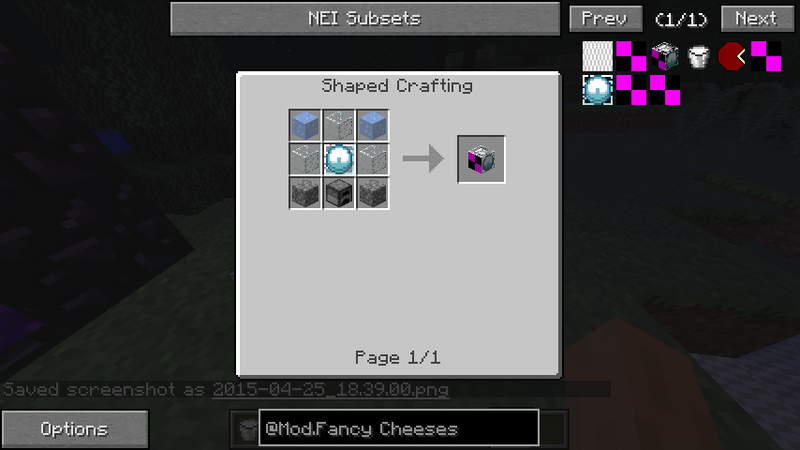 Cheese Knife now has a recipe. As a member of the cheeses. I approve. haha this mod is truly amazing . The one thing that MC has been missing.....cheese. Keep up the good work .